We’re driving Cadillacs in our dreams. We crave a different kind of buzz, let me live that fantasy. 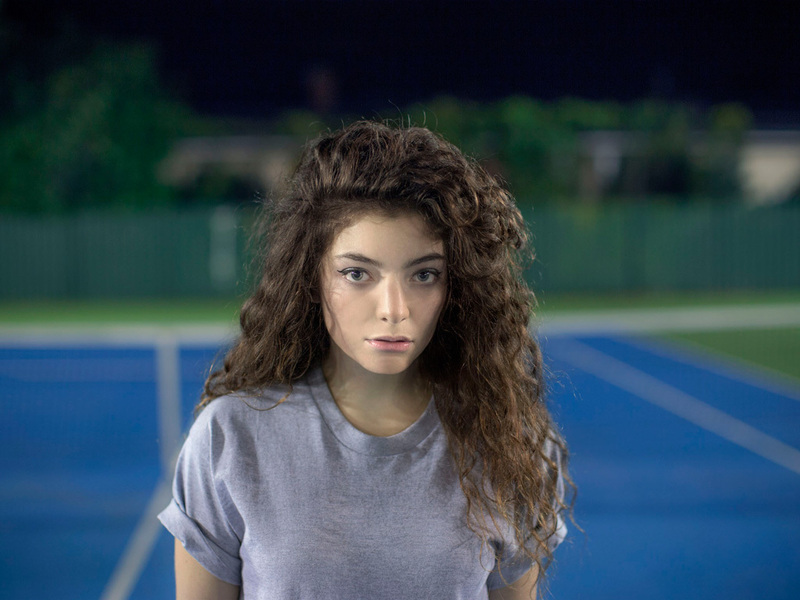 Amidst a world of calculating contest winners, manufactured show ponies and cheap knock offs - Lorde is a true original. She is Ella Yelich-O'Connor, born and raised on Auckland’s North Shore, and possessed of a singular ability to capture the majesty, and mundanity, of teenage life - in striking melodic snapshots that belie her age and experience. Raised on a nutritious musical diet of Neil Young, Fleetwood Mac, The Smiths and Nick Drake, alongside a smattering of soul food from the likes of Etta James and Otis Redding, Ella was definitely set off on strong melodic footing. Later she discovered artists like James Blake, Bon Iver, Burial, Animal Collective, SBTRKT and Drake - all of whom made an impact in their own, individual way. As vital and varied as those influences are, they don’t really begin to tell the full story of Lorde’s music, which melds concentrated, sharp-eyed lyrics and multi-layered vocals with crisp, 2013 beatscapes. The decision to release her first EP, with plenty of mystery but no marketing or publicity, and just a simple, lifelike illustration, was Lorde’s, and it was a masterstroke. Even after 60,000 free downloads on SoundCloud, The Love Club EP still shot to #1 on the New Zealand Album Chart, with Royals simultaneously occupying the top spot in the singles chart - without so much as a video on YouTube. Before any of that success, she was already the focus of a hotly contested bidding war, rapidly being signed up for the UK, US and other major territories, simply on the strength of her music and blindingly obvious potential alone. Tweeted about by everyone from Grimes to Sky Ferreira to Doomtree, and picked up by Buzzfeed, Perez Hilton et al - these are the beginnings of an impending roar, about an artist who is quite simply, cut from a different cloth. Like most overnight success stories, the reality is considerably less glamorous, and more lengthy and involved. Working with Universal for three years prior to The Love Club EP, the sparks really started flying when she collaborated with producer and songwriter, Joel Little. In him she found someone who could really help in getting the songs out of her head and into yours, and a willing accomplice when she needs to spend the best part of a day making a hi hat sound more like an insect, or suchlike. With a mother who is a celebrated poet herself, Ella was given an early grounding in the essentials from the likes of T.S.Eliot, Ezra Pound, Allan Ginsberg, Raymond Carver and Sylvia Plath. That combination of higher thought and word passion, taken with visual influences ranging from The Sopranos and Brick, through to Sofia Coppola’s The Virgin Suicides, makes for a heady combination - but it’s what Ella does with it all that is truly unique. Rejecting the trite banalities that are usually presumed to represent a 16 year old’s outlook, the music of Lorde manages to capture the very essence of the frustration and freedom, the curiosity and confidence, and the plain old wonder of teenage life, in a truly unique way.